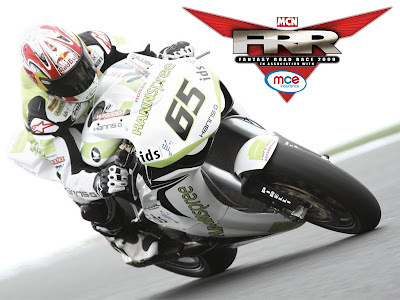 Now is the time to pick your team for the free to enter MCN Fantasy Road Race competition in association with MCE Insurance. The rules are simple - you have a budget of £10 million to spend on 6 riders- 2 each from MotoGP, WSB and BSB. You can enter a team for free right now and by registering you will be in with a chance of winning this year's top prize, a Yamaha R6 worth £7,799. Alongside the top prize for the overall winner, there will also be prizes for the winners of the eight rounds that make up the competition. The deadline for entries is February 28th, so make sure you register your team before then. British World Superbike riders Leon Haslam, Tommy Hill, Jonathan Rea and Tom Sykes are as competitive off track as they are on it and have all got their entry in to MCN’s Fantasy Road Race competition in early. To test your racing knowledge and find out if it is better than the WSB Brits, enter your team for free online now. Learners will be able to take the two parts of a new motorcycle test on different days following an announcement by roads minister Jim Fitzpatrick. From April 27 new riders must pass a ‘manoeuvres’ examination at new test centres as well as an on-road riding section. Fitzpatrick’s announcement means they won’t have to cram both into a single appointment. The Driving Standards Agency (DSA) had faced criticism for building too few of the new ‘multipurpose’ test centres and accused of asking learners to ride hundreds of miles to the nearest one. Yesterday’s announcement also means candidates can do the on-road part at an existing test centre without having to travel to a new one. Fitzpatrick said the move would “provide more delivery options, from a greater number of locations, enabling better utilisation of the current test centre estate and thereby offering improved geographic coverage”. “It will offer an improved level of customer service for motorcycling candidates and reduce the travel-to-test distance for some candidates,” he said. Rider groups welcomed the news but pointed out the manoeuvres part would still have to be done at one of the limited number of new test centres. Hodder also attacked DSA plans to charge £10.50 more for the new test, after already putting the price up by £20 in September to cover the extra cost. The charge went from £60 to £80 at the end of September, when the new test was originally supposed to come in. The introduction of the test itself was deferred by six months due to a lack of test centres but the DSA did not do the same with the new fee intended to pay for it. Now bookings for the new test taken from March 30 will cost £90.50.